EVEN after a year, many residents of Lundu are still mourning for their former assemblyman, Pehin Sri Adenan Satem, whom they fondly addressed as ‘Tok Nan’. Adenan, the state’s fifth chief minister, passed away on this date a year ago. He was the assemblyman for the Tanjong Datu constituency, which includes Lundu. For Aben Petrus, a stall owner who has been operating at Lundu Market for over two decades, Adenan was like a ‘pearl – one that is irreplaceable’. “He is like a ‘mutiara’ (pearl) that can never be replaced. We’re still missing him, even after a year of his passing. There is only one, and only, Tok Nan,” said Aben when met in Lundu recently. He described Adenan as a very special individual – one who was very approachable and able to carry himself without too much protocol. “When he was still around, he used to drop by at the market here and mingle with us. He made us feel very special,” Aben reminisced, hailing Adenan as ‘a man of his words’ and ready to assist in whatever way that he could to solve their problems. For Haron Abdullah, the former chief minister had helped transform Lundu from a sleepy town into a more vibrant one. “He had brought in progress to this town since he was elected assemblyman in 2006. “Thanks to him, Lundu will soon have an Urban Transformation Centre (UTC) and a Centre of Technical Excellence Sarawak (Centexs), while our road will be linked with the Pan Borneo Highway,” he said. 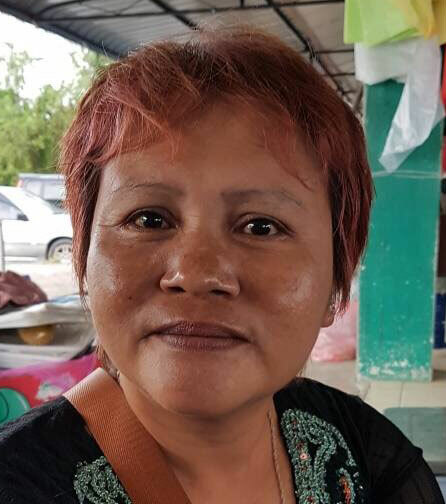 Another stall owner, Roslina Lion said although they were still sad over Adenan’s untimely demise, they took comfort knowing that his widow Datuk Amar Jamilah Anu had taken over his role. Jamilah won the constituency’s by-election in February last year, polling 6,573 votes. “Since she was elected as our YB (elected representative), whenever she comes here during the weekends, she would stop by at all the stalls and buy from all of us. “She has been very fair to us. Just now, she stopped by my stall to buy some chillies and ‘dabai’ (local olives),” said Roslina. When coincidentally met at a durian stall nearby, Engkilili assemblyman Dr Johnichal Rayong Nyipa said he would never forget Adenan’s kindness and generosity. “After I won (state election 2016) as an Independent (candidate), I had no MRP (minor rural project) fund. So I went to see Tok Nan, and as the chairman of Yayasan Sarawak at the time, he helped me out to assist my constituents,” said Rayong. He said Adenan had been helping him until he (Rayong) was included in Barisan Nasional (BN) in 2008. A Chinese community leader Councillor Raymond Chen said the former chief minister had been instrumental in upgrading the Chinese primary school in Lundu. “Besides that, he brought in many projects that benefitted the ‘rakyat’ (people) such as the Lundu Waterfront and food courts for both Muslims and non-Muslims. Datuk Amar Jamilah has always been his best companion, supporter, party worker, and advisor. She’s everything to what Tok Nan stood up and worked for. “The proposed non-Muslim market costing RM2 million will be built soon, to be very near to Medan Selera Lundu. This is proof of him being open and practise moderation in his religious approach,” said Chen. 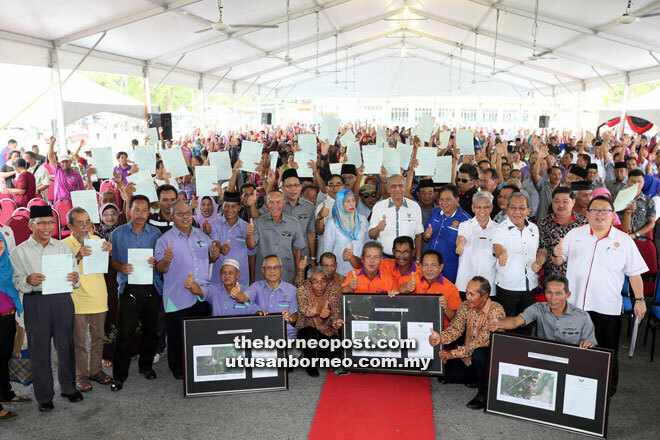 Meanwhile, Natural Resources and Environment Minister Datuk Seri Dr Wan Junaidi Tuanku Jaafar said in every village and gathering that he had been to in Tanjong Datu, the people there still remember and are missing Adenan dearly. “It seems like it was only yesterday that he left us,” he said. 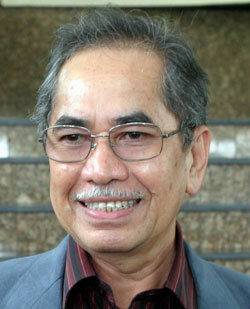 However Wan Junaidi, who is also Santubong MP, said the people could see Jamilah continuing his legacy. “Datuk Amar Jamilah has always been his best companion, supporter, party worker, and advisor. She’s everything to what Tok Nan stood up and worked for. “She is hardworking, dedicated, tireless, and focused. She is definitely able to serve her constituents in Tanjong Datu. We work together very well. “Although Tok Nan had left big shoes to fill, Datuk Amar Jamilah is the right person for the job,” said Wan Junaidi.